The victim of a flammable gas explosion or family members who have lost a loved one in an explosion may wonder how they will cover medical bills, future treatment costs and lost wages. A gas explosion lawyer can represent victims of natural gas explosions along with their families. Gas explosion injuries can result to severe physical damages as well as financial and legal problems such as medical bills payment, searching for experienced specialist to treat emotional and physical injuries, obtaining payment for lost wages, and payment for disfigurement, emotional distress, suffering, and pain. Appliances like gas generators, pool heaters, fireplace logs, dryers, cook tops, ovens, ranges, gas lights, outdoor grills, space heaters, central heating and cooling systems, and water systems can accumulate dangerous gas. A victim can file for damages if the gas explosion is caused by a broken appliance. He may file the suit against the gas supplier, the contractor who repaired or installed the appliance, the appliance’s retailer, the appliance’s manufacturer, or the appliance’s distributor. Employing the services of a gas explosion attorney can assure the victim that the incident will be investigated thoroughly so that the responsible parties are held accountable. In late August of 2012, an explosive fire caused by a busted gas line created an emergency in McKinney, Texas. A crew of six from Atmos Energy was working on the gas line to replace a section when suddenly the excavator hit a line and the flames consumed the crew’s vehicle and a truck parked nearby. Although no one was seriously injured in the incident, a worker had to be brought to the hospital for minor injuries. The supply of gas was immediately cut off which prompted the flames to die out eventually. Power lines near the Medical Center of McKinney and adjacent apartments were damaged by the flames and the hospital had to use temporary generator power. Gas service was also cut as Atmos employees repaired the gas line. A tanker truck had to feed the gas lines temporarily. It was good there were no major injuries to people although there were damages to properties. In many cases however, injuries sustained in flammable gas explosions may be extremely serious. Burns to the face and body may be terribly painful, often take a long time to heal and may be permanently disfiguring. Flying debris may inflict additional wounds. 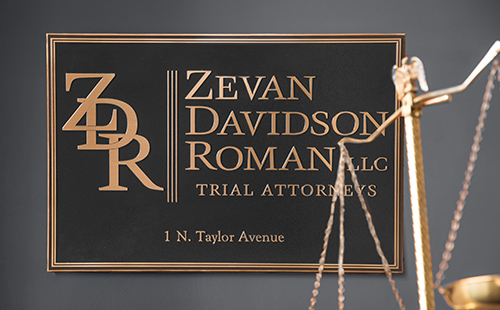 The Zevan and Davidson Law Firm is a trial law firm with a track record of obtaining results in high-stakes catastrophic personal injury cases in St. Louis, Missouri and Illinois. Our Personal Injury Lawyers have recovered millions of dollars for our clients in a wide range of legal matters. If you or a loved one has been injured or even killed in a gas explosion, contact us today at (314) 588-7200 for a free and private consultation.